Being one of the trusted firms in the industry, we are highly engaged in providing a unique range of Scalp Steamer. Ultrasonic waves helps in penetration of medicines, serums, nourishing creams directly into hair shaft, ideal for hair spa, deep conditioning, Anti-dandruff treatments, Anti-hair loss treatments, split ends etc. Assisted by our team of dexterous professionals, we are engaged in offering an extensive gamut of Hood Scalp Steamer. 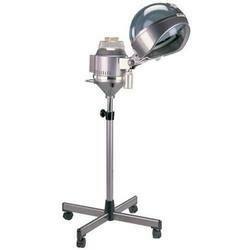 These scalp steamers are available in world class specifications and extensive ranges. Further, these are developed and designed by the leading industry professionals who have enormous experience in this domain. To add on, these are available at reasonable prices.